Being able to anticipate weather patterns is an essential part of farming. But it can be especially challenging in places like Zambia, where the climate fluctuates between prolonged droughts and months of rain. In order to provide accurate and affordable weather information to the Zambian farmers who need it most, one group of researchers is looking to 3D-printing technology, City Lab reports. The team at the University Corporation for Atmospheric Research (UCAR) recently installed five 3D-printed weather stations throughout the region. The set-ups use much of the same sensors and equipment you'd find in a conventional station. Solar-powered sensors measure humidity, wind, temperature, rainfall, and air pressure while storing the information they gather on a computer chip onboard. What makes the station unique are the materials it's built from. A vented cylinder that shields radiation, a funnel that collects rain water, and a frame for the sensors were all made in a 3D-printer. This manufacturing method results in a much cheaper product. 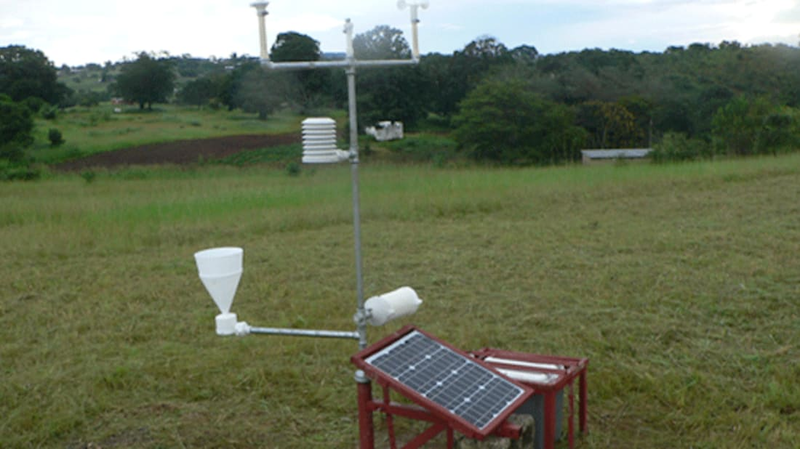 While the Zambian government can spend around $10,000 to $20,000 on a regular weather station, this one only costs around $300 to build. The 3D-printing route also makes replacing parts simple and cost-effective. The meteorological department in Zambia uses less than 100 stations to make their weather predictions, which leaves many parts of the country without information. The researchers' 3D-printed machines, stationed near radio towers and a rural hospital in the country, are currently being pilot-tested by the department. In addition to using the equipment, they're also being taught how to read its data and build new weather stations themselves. There are only five stations as of now, but the goal is to give the Zambian meteorological department the tools they need to build and maintain a network of over 100. The next step for the scientists is to examine the need for similar weather technology in other developing countries.